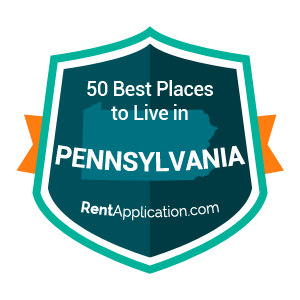 Pennsylvania encompasses urban sprawls, historical landmarks, and diverse terrain. The commonwealth of46,055 square miles is bordered by Delaware, Maryland, West Virginia, Ohio, New York, New Jersey, and Ontario of Canada. The state’s total population is n12,802,503 residents. One of the original thirteen colonies, Pennsylvania is the site of such historic prominence as the drafting site of the United States Declaration of Independence. Again during the American Civil war, Pennsylvania saw war up close with the Battle of Gettysburg. Today, Pennsylvania is home to several large cities including Philadelphia, Pittsburgh, Harrisburg, Allentown and Erie. The state is also host to medium and small sized towns that contribute to the state’s historical and modern-day achievements. Our ratings were compiled by combining census, education, wealth , happiness and internal RentApplication data to create a unified rating system for all of the towns in Pennsylvania. Ranked below are the top towns. 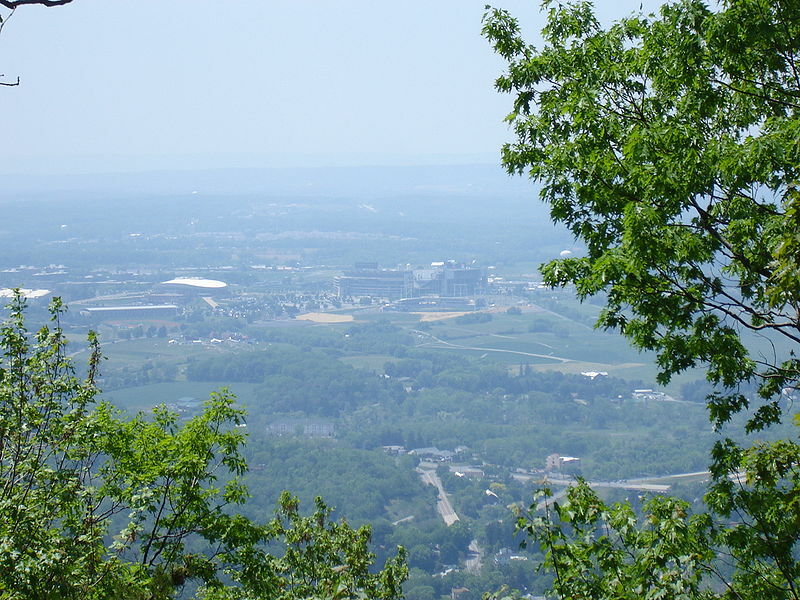 As the name suggests, State College, or “Happy Valley” is built up around Pennsylvania State Univeristy. A majority of the city’s demographics and economics is focused on the university. State College is best known for its sports; Penn State Nittany Lions Football attracts approximately 100,000 fans per home game. State College Spikes (baseball), women’s soccer, men’s volleyball, women’s volleyball, and wrestling are all league championships. Just outside the city, the terrains is mostly rolling hills and farmland. Downtown, the city is dynamic, but is still ranked one of the safest small towns in the United States. Near to State College is the town of DuBois in Clearfield County. DuBois has extensive healthcare facilities, which also is the number one employer in the city. Outdoor recreation includes Treasure Lake and Cook Forest. The city of 7,794 is building a name for itself in the entertainment and arts arena. DuBois has its own DuBois Campus of Penn State University, and consults with the city of State College in terms of university-related developments. Ninety-eight miles west of Harrisburg, lies Huntingdon, population 7,093. Huntingdon is the location of Juniata College and the Allegrippis Trails for mountain biking. The small city boasts a variety of public and private primary and secondary schools. Several annual community events include Mayfest, the Veterans day Parade, and the Tree Lighting Ceremony. Bloomsburg, Columbia County is located along Susquehanna River in eastern Pennsylvania. Settlers first came to the area in 1772, and today this city has a population of nearly 14,519 (est.2013) in nearly 4.69 square miles. 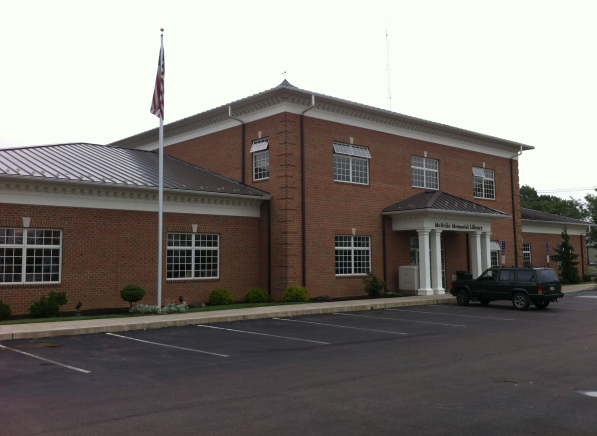 The city is bordered by Mount Pleasant Township, Scott Township, and Hemlock Township. Bloomsburg University of Pennsylvania is at the heart of the city. Second most populated in the county, Spring Township has a total of 27,119 (2010) residents and is in close proximity to Bloomsburg. The township’s name is derived from a large pool of fresh water in the center of the city. Open fields, greenery, and creeks surround the town and provide the perfect backdrop. 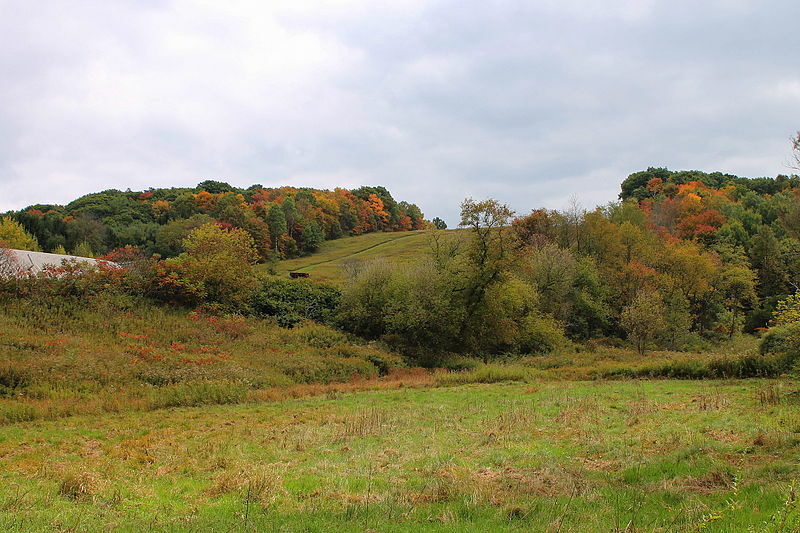 Located in Westmoreland County, Penn Township of western Pennsylvania was put on the map during the battle at Bushy Run. 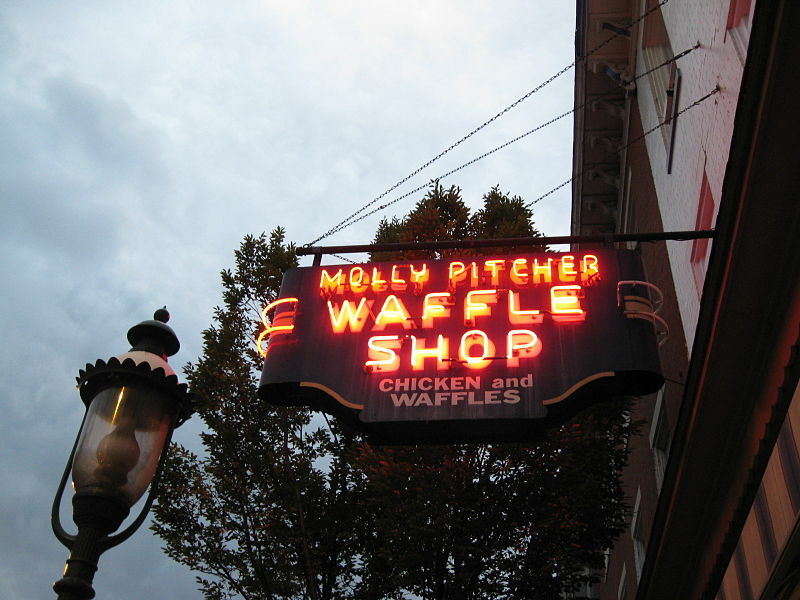 Today, it’s considered a National Historic Landmark. Carnegie Mellon University chose Penn Township for the site of its new lab facilities in 1957. There are 19,591 (2000) residents in an area of 30.5 square miles. 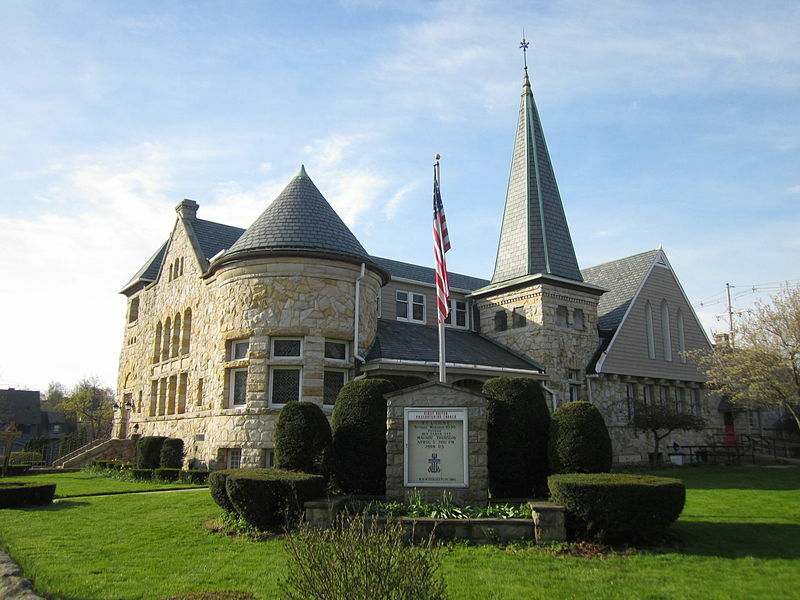 Less than 90 miles from Pittsburgh, Pennsylvania, Meadville is a principal city in its county and settled by David Mead in 1788. The city is surrounded by meadows and grasslands. Meadville hosts Allegheny College, a small liberal arts college. Throughout history, Meadville’s economy has relied on the logging, agriculture, and iron production (railway) industries. Kutztown Univeristy is located with the town of Kutztown, Berks County, Pennsylvania. The East Penn Valley city is heavily reliant on the university as a source of revenue and employment, as well as Radius Toothbrush (digital creative agency) and Sposto Interactive. Transportation is viable by way of US Route 222 and PA 737. Buildings on mainstreet are constructed with a uniform limestone, including the town’s churches. Crystal Cave, Pinnacle Ridge Winery, Blair Vineyards, and the Renningers Antiques Farmers Market are all major points of interests. 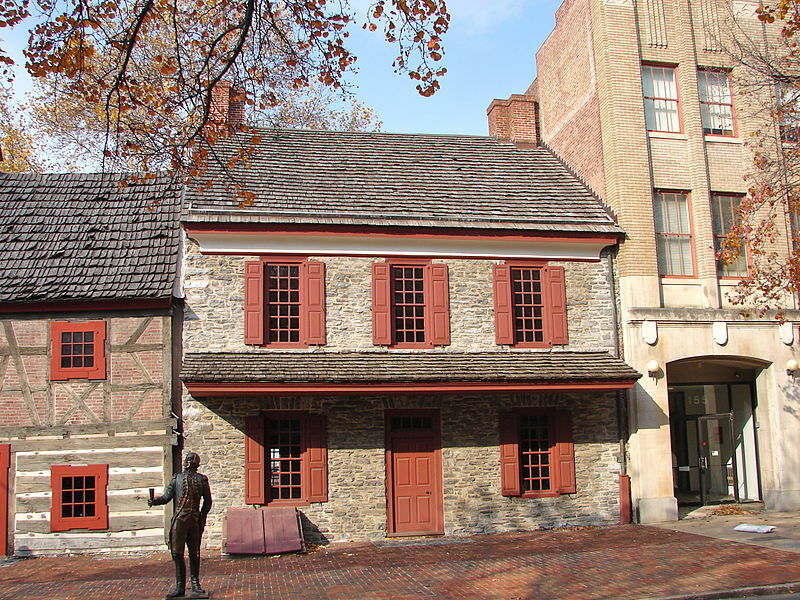 Historic landmarks and modern-day attractions welcome visitors to the city of Bethlehem, Pennsylvania. The city has a total population of 74,982 (2010), making it the seventh largest in the state. The east bank of Monocacy Creek forms the Colonial Industrial Quarter. The city became famous for its steel (armour) production, as well as its shipbuilding industry and metal production. At Christmastime, the city hangs its very own star of Bethlehem, originally made out of wood, and today, welded from the city’s own steel. Reading Township of Adams County rests on the border with Maryland to the south. The original settlements within the town included Hampton and Lake Meade. The city had a population of 5,780 in 2010. Although the city can be considered rural, it is easily accessible to large cities nearby. 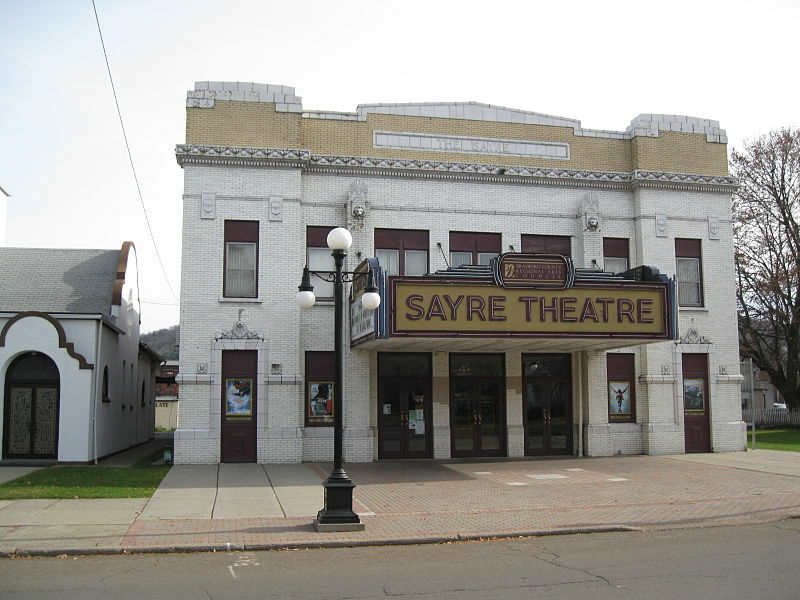 Sayre, Pennsylvania is the largest town in Bradford, County, near Elmira, New York. 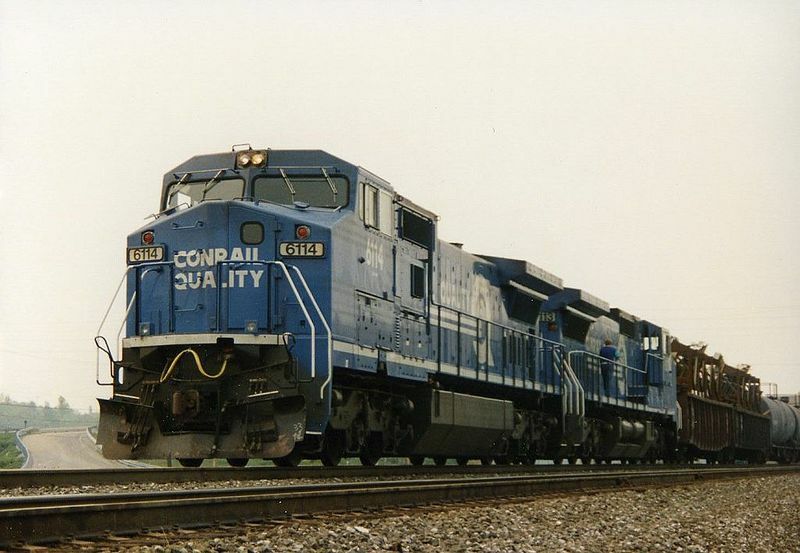 Despite its population of 5,587, Sayre remains well-connected due to the expansion of the Lehigh Valley Railroad, the Erie Railroad, and the Pennsylvania and New York Railroad. Sayre prioritizes community involvement, evidenced through its community organizations like Big Brothers/Big Sisters, 4H, Sayre Little League, and Sayre Recreation Program. Otherwise know as the “Christmas Tree Capital of the World”, Indiana, Pennsylvania got its name because the national Christmas Tree Grower’s Association began in the city. Most jobs in the southwestern city come from the Indiana University of Pennsylvania. Indiana City offers high quality primary and secondary educational as well, at public and Catholic schools. Famous for its large Amish population, Lancaster, Pennsylvania is one of the oldest towns in the United States. It’s population of 59,322 (2010) is also one of the state’s largest. Today, downtown Lancaster caters to tourism and also excels in the healthcare, public administration, and manufacturing industries. More so, the city has one of the largest indoors shopping facilities in the region. 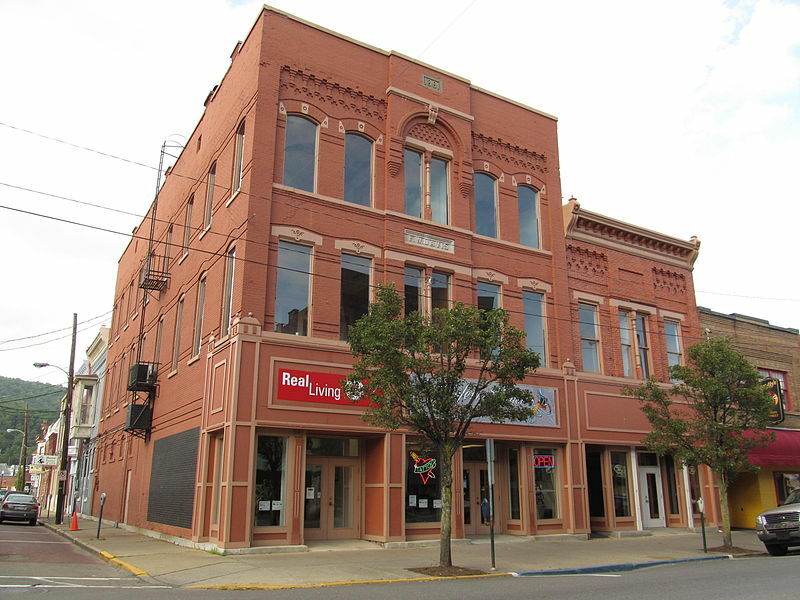 Historical landmarks include the Fulton Opera House, the Cork Factory Hotel, and the Bethel African Methodist Episcopal Church, which served as a station on the Underground Railroad. Founded in 1789 from Salem Township, Washington Township lies in Westmoreland County. Washington boats a comfortable and safe environment for residents, especially families. 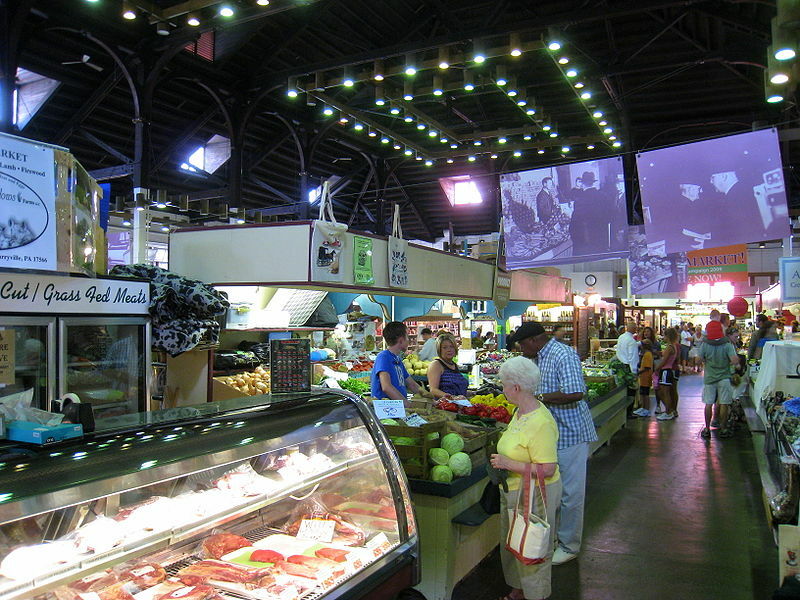 Local economy has always been tied to the agricultural industry. Wildlife in the town includes bear, deer, and coyotes. Crawford County hosts this modest town of 5,249 (2010) in northwestern Pennsylvania. 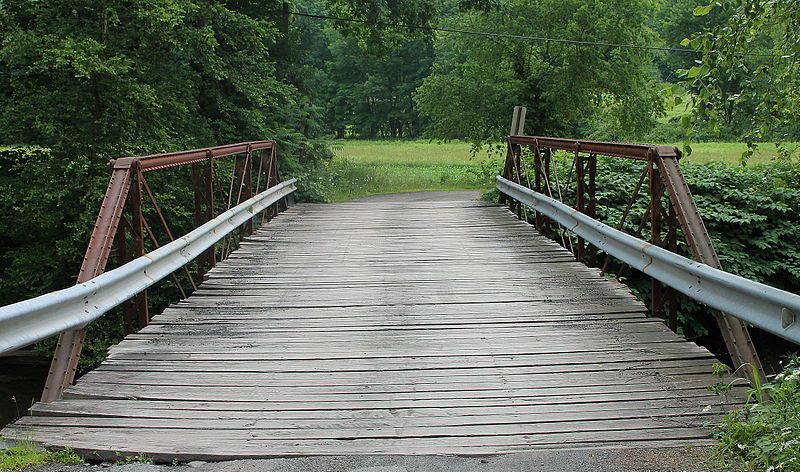 The historical bridge in Washington Township belongs to the National Register of Historical Places. Tamarack Lake and French Creek form boundaries around the city. The city has a total area of 18.8 square miles. Recreational activities include the Oakgrove Park Pavilion, the Dam Triathalon, and the Crawford County Fair. Situated in Union County central Pennsylvania, Union Township is best know for its natural beauty, with plenty for residents to enjoy. To the east of the city, stretches West Branch Susquehanna River. Shikellamy State Park is located partially within the town, including a picnic area and hiking routes. Williamsport, the birthplace of Little League Baseball, is an ideal location for families to settle down. Each year, the city hosts the Little League World Series at the end of summer. The city of 29,304 (2009) is located in Lycoming, County, in the southern part of the state. Historically until present day, Williamsport’s economy relies on the lumber industry. Points of interest include the James V. Brown public library, and the Lycoming County Prison, operational between 1799 and 1801. 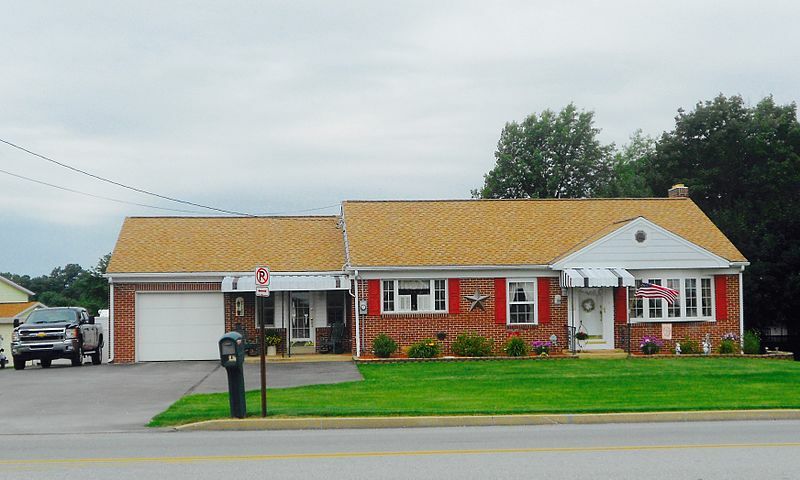 Situated at the base of Edinboro Lake, the town is small, and home to the Edinboro University of Pennsylvanina. Visitors come to admire nearby natural beauty, as part of the snowbelt region of Lake Erie. 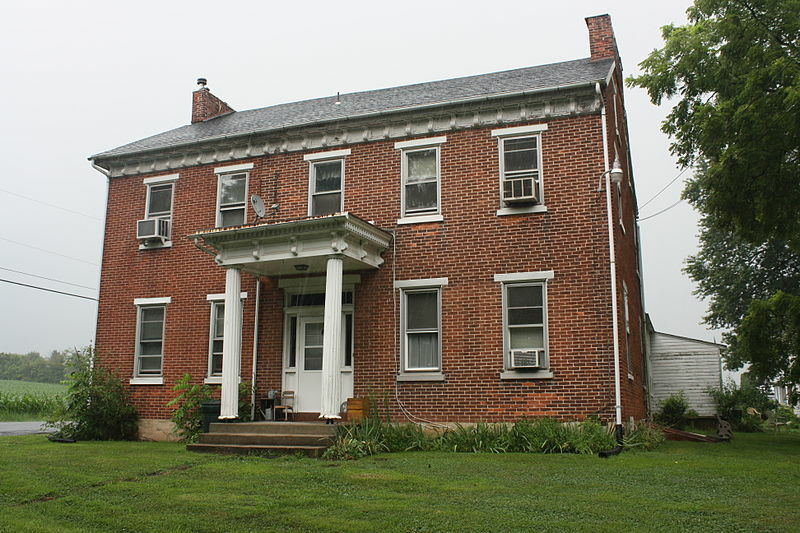 Edinboro also houses historical sites like Academy Hall, as categorized by the National Register of Historic Places. The town’s population has fluctuated as a result of a new trolley station and electric railway built in the early 1900s. Altoona in Blair County, Pennsylvania is one of the most populated cities in the state, with a total of 46,320 (2010) residents. Altoona is home to the Altoona Curve baseball team and Altoona Symphony Orchestra, over seventy five years old. 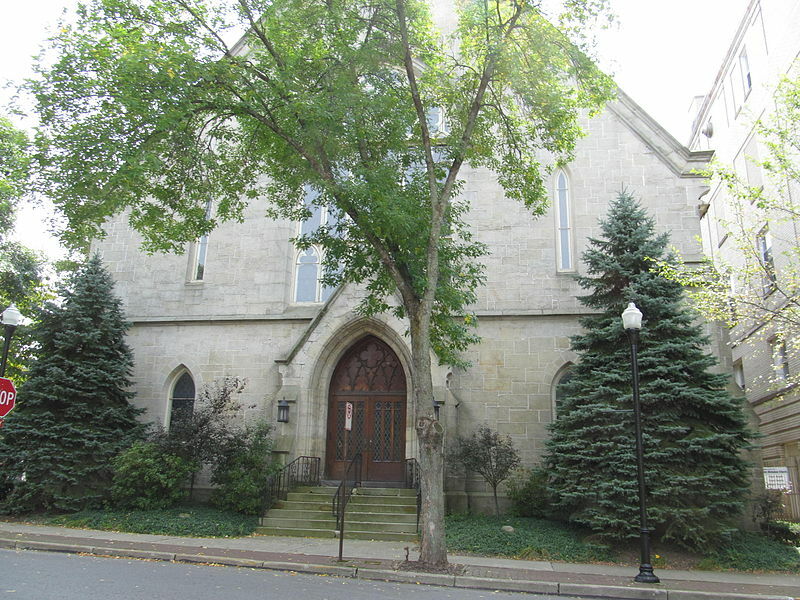 City landmarks include the Juniata shops, the Mishler Theatre, the Jaffa Shrine Center, and the Cathedral of the Blessed Sacrament. Altoona is also home to the world’s oldest roller coaster, Leap-the-Dips, in Lakemont Park. Just behind Erie and Reading, Pennsylvania, Scranton is the sixth largest in the state, with a total area of 25.44 square miles in the northeast region of the state. Scranton is the site of the Lackawanna River. 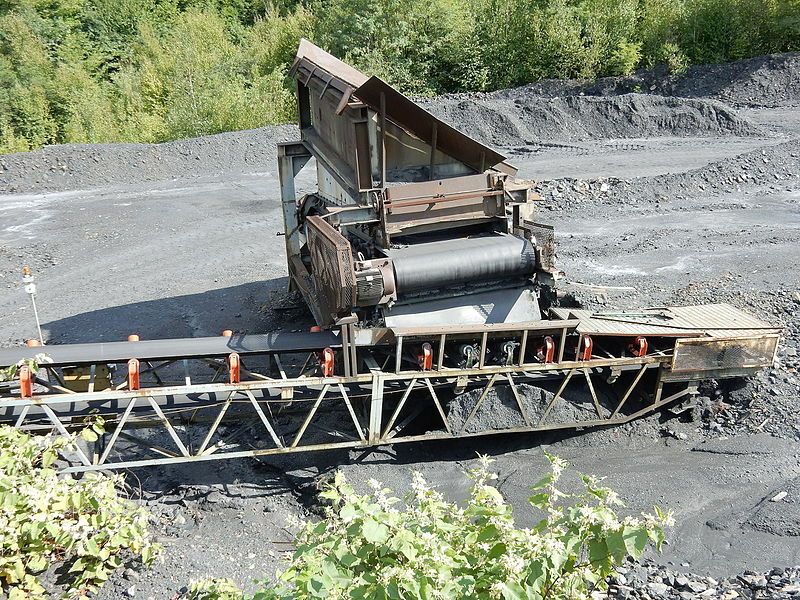 In the past, the city has played an integral role in the coal mining business. With a reputation as the “Electric City”, Scranton was one of the first to use streetcars powered exclusively by electricity. Today, the city offers a vibrant downtown, with coffee shops, bars, and an active nightlife. Scranton has several baseball, soccer, and ice hockey teams. 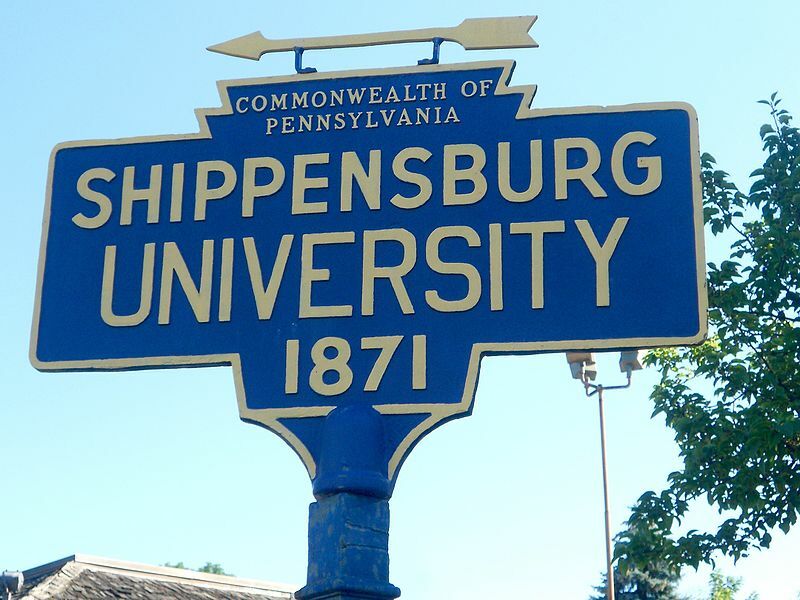 Home to Shippensburg, Pennsylvania, the town of Shippensburg is located about forty miles from Harrisburg. Major businesses in the region have included engine manufacturers, furniture factories, and other industrial-related companies. The city is home to one of the oldest and largest party goods manufacturers and also the single oldest hardware store. 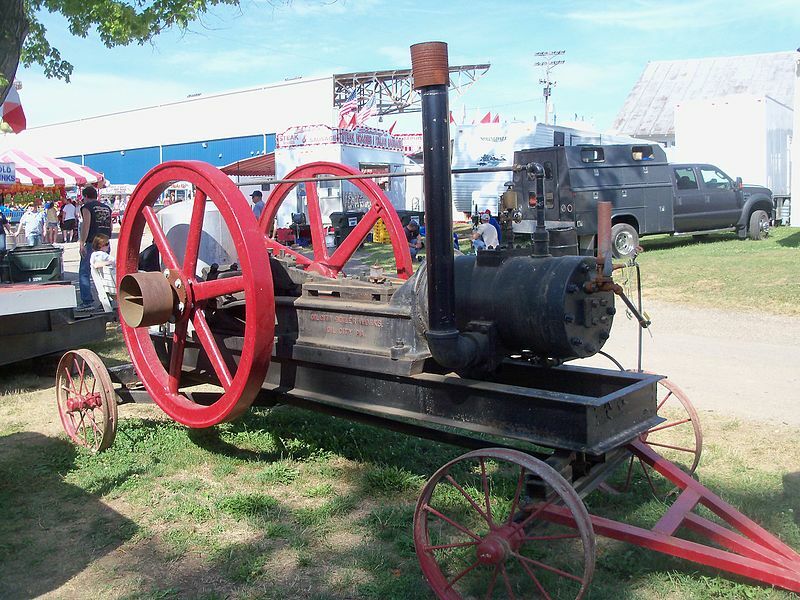 Community festivals include the Shippensburg Community Fair during the last week in July. In August, Shippensburg puts on the Corn Festival, which welcomes vendors from around the region. 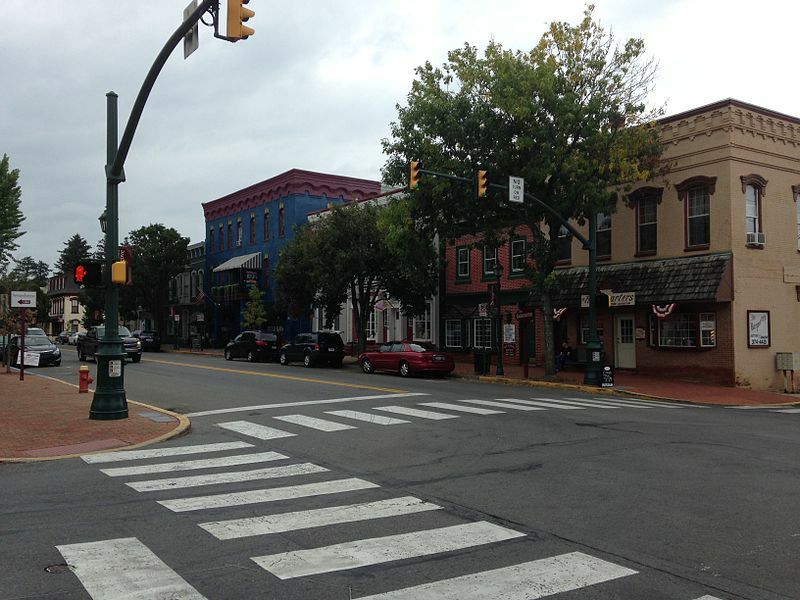 Nicknamed the “Golden Link”, Vernon Township has an ideal locale: the town of Meadville to the west, and Conneaut Lake, the largest natural lake in Pennsylvania. Vernon has a population of 5,630 (2010), and is often referred to as the business center of the county, including hotels, shops, restaurants, and movie theaters. Outdoor ventures will take residents to places like Mary Gable Community Park and Roche Park. Lincoln Avenue Sports Complex has recently gotten upgrades to its softball fields. Only 20 miles from the Maryland border, Chambersburg is situated in Cumberland Valley, also part of the Great Appalachian Valley. 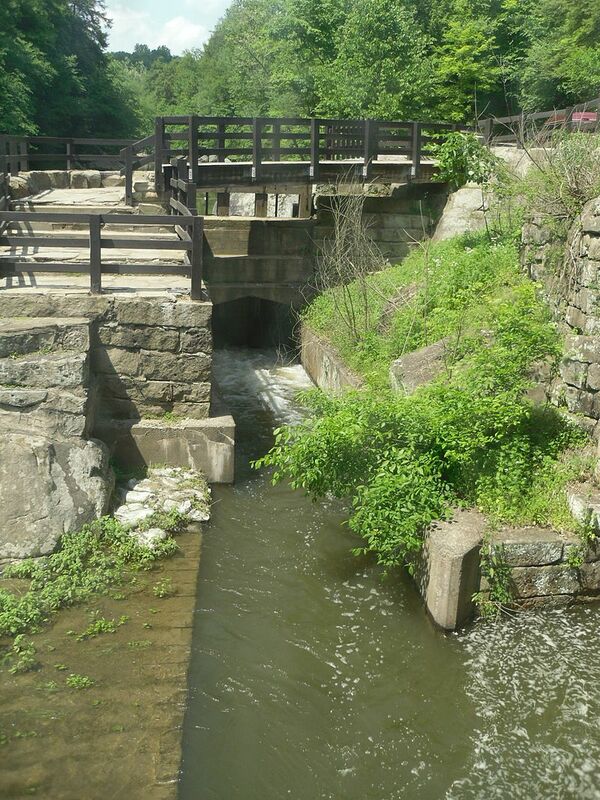 The city’s history began with construction of the water mills, generated by the Falling Spring Creek and Conococheague Creek. Economy relies on transport to nearby Maryland and large retail businesses. 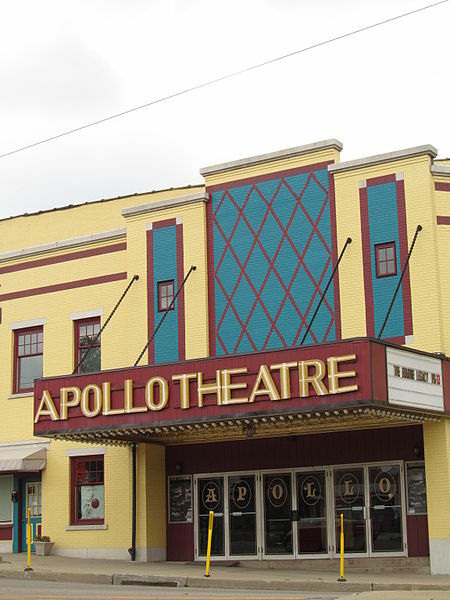 Leisure activities include visits to the Caledonia State Park and Capitol Theatre. 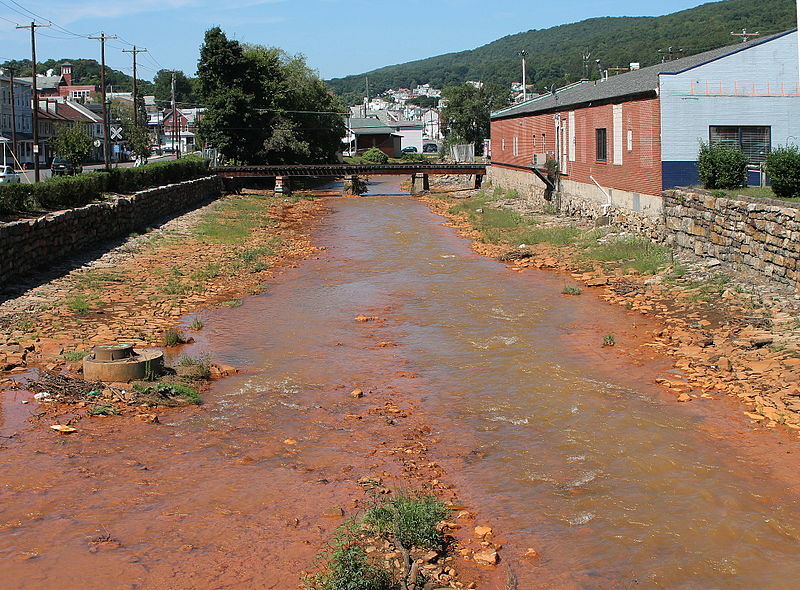 Along the Schuylkill River, lies Pottsville in Pennsylvania’s Coal Region. 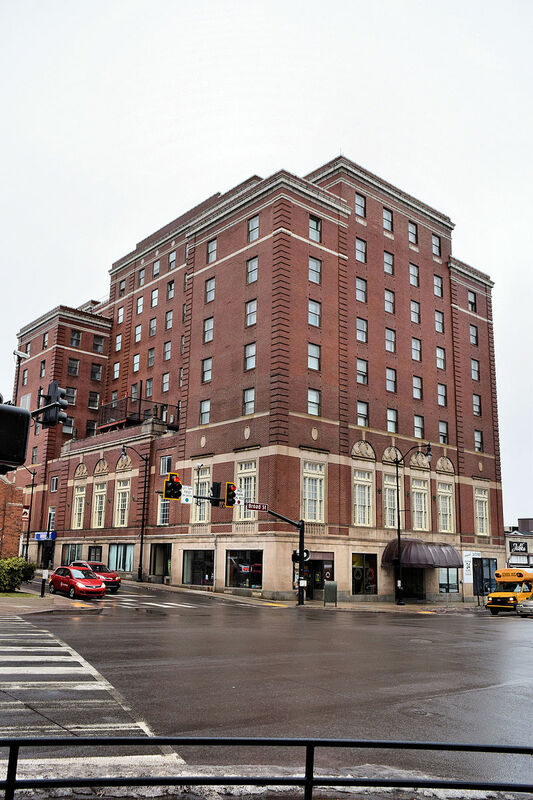 The city of 14,324 (2010) is nestled amongst forested hills and is the site of many historical landmarks, including The Patterson Building, the John O’Hara House, and the D.G Yuengling and Son Brewing Complex. The riverside city is home to over a dozen recreational parks and green spaces. 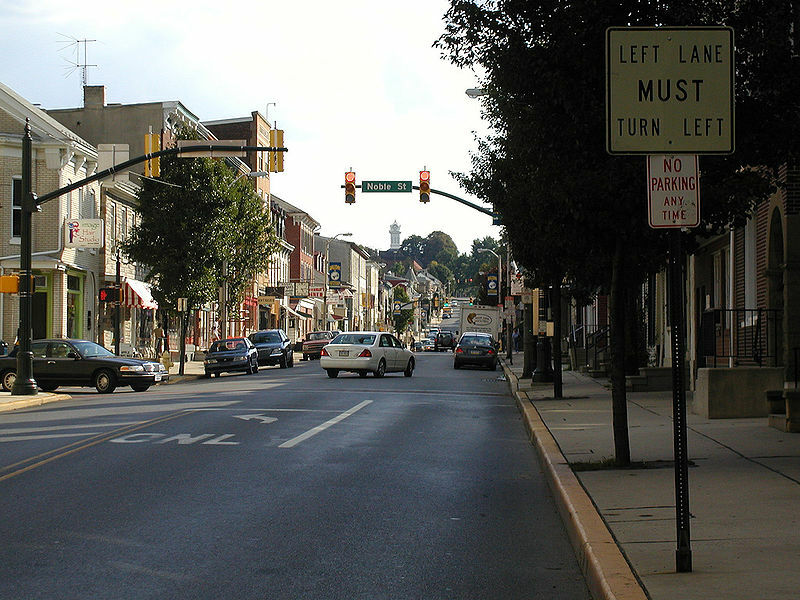 Many smaller suburbs feed into the city of Pottsville. 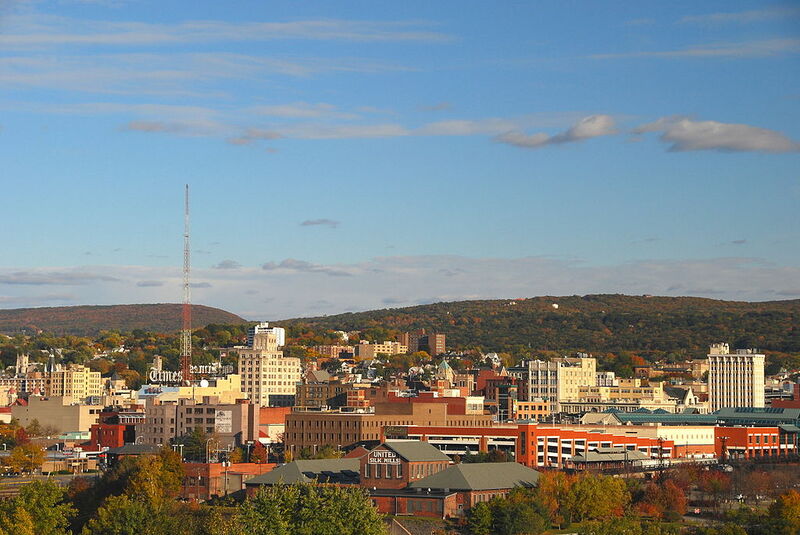 Rested in the Wyoming Valley, Wilkes-Barre is surrounded by the Pocono Mountains to the east, Endless Mountains to the west, and Lehigh Valley in the south. Additionally, Susquehanna River flows through the northwestern part of the city. 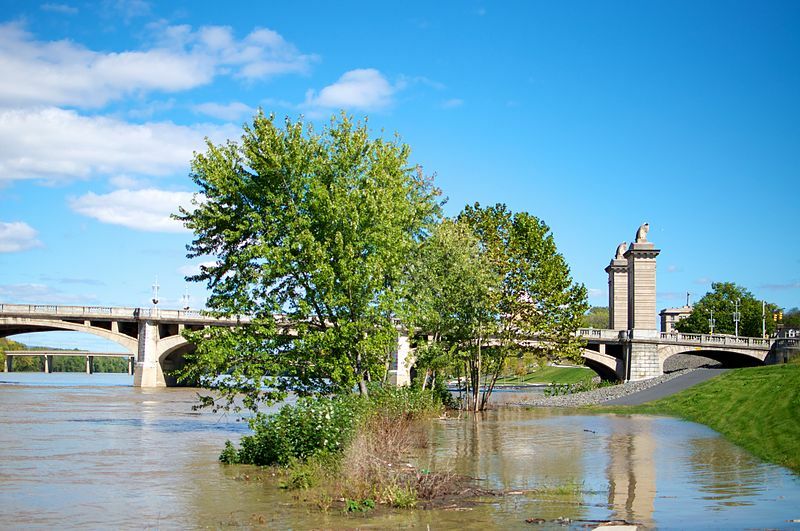 In 2007, a River Revitalization project was birthed in order to once again make the riverfront accessible to the public. Today, the riverfront includes a new ampitheater where the city hosts concerts and charity events. 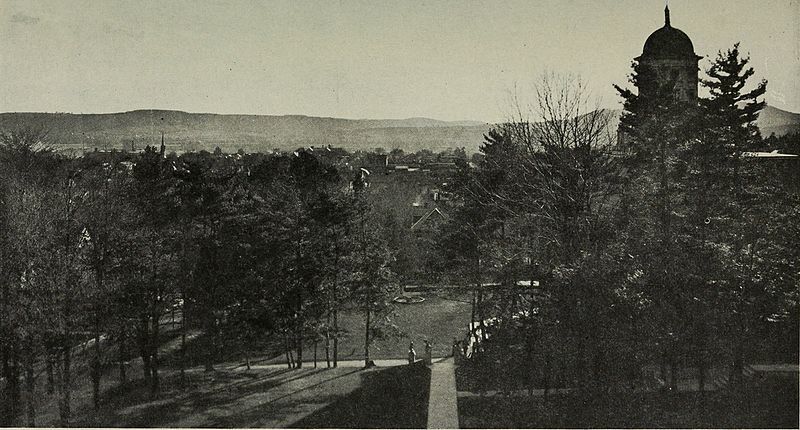 Site of the Clarion University of Pennsylvania, the city has ballooned since its founding in 1841. The city today has a total population of 32,761. Throughout the years, natural gas, oil, lumber and coal have been major industries in the area. Each year, the city hosts its Autumn Leaf Festival, the perfect opportunity for neighbors to catch up or to meet new residents before the start of the school year. From summer camps to the Garden Discovery Camp, the community of Butler Township has developed several educational programs for young learners throughout the year. Popular sporting activities include Valley East baseball, golf at Edgewood in the pines or speed racing at the Mountain Speedway in St.John’s. A short drive away, residents can enjoy ski resort, amusement parks, and shopping malls. 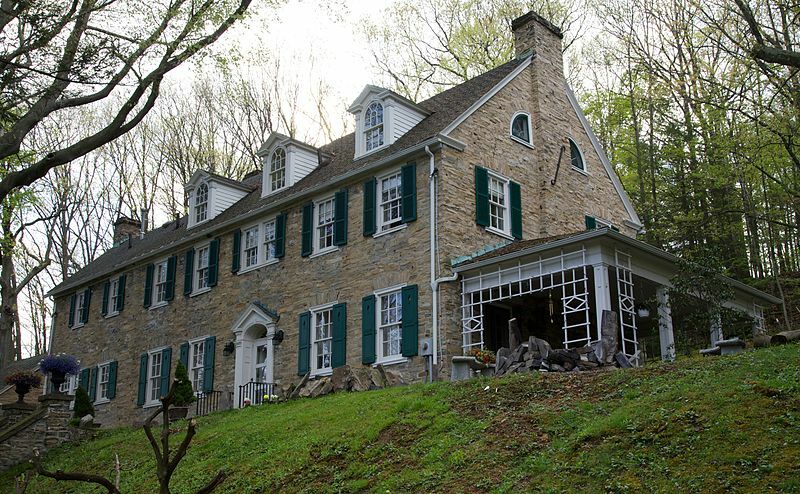 Wineries, spas, and resorts abound in York, Pennsylvania, the “White Rose City”. Still preserved today are some of the city’s 18th century structures, including the Golden Plough Tavern and York Friend’s Meeting House. Industry in the area relies on agriculture as it did one hundred years ago. The York Fair takes place over a period of ten days in September, including games and rides, as well as highly-anticipated concerts. Past years’ guests performers have included Carrie Underwood and Toby Keith. In eastern Pennsylvania, the town of Hazleton is situated in Luzerne County. Discoveries of coal in 1818 catapulted the city into economic stability. Innovation continue in Hazleton, and in 1891, the city became the third in the United States to establish an electrical grid across the city. Higher education in the area includes Penn State Hazleton, Lackawanna College, Luzerne County Community College, and McCann School of Business and Technology. 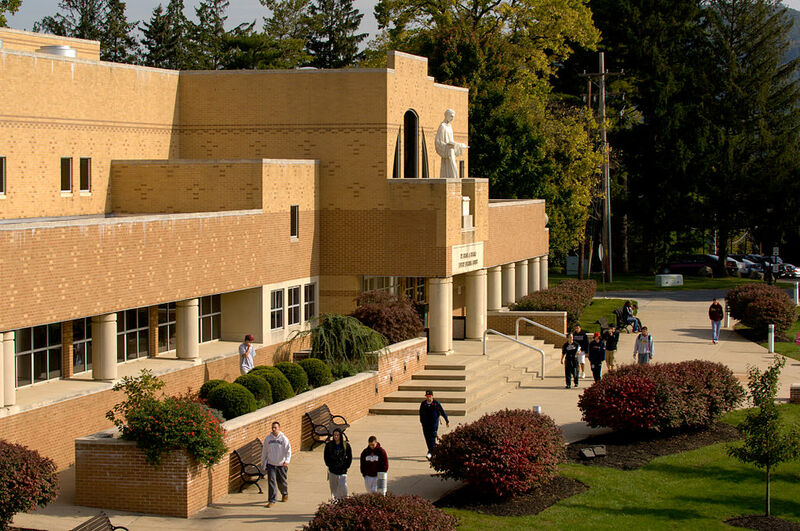 Home to Grove City College, a private Christian liberal arts school, Grove City of Mercer County, Pennsylvania offers its residents multiple primary and secondary education routes as well. 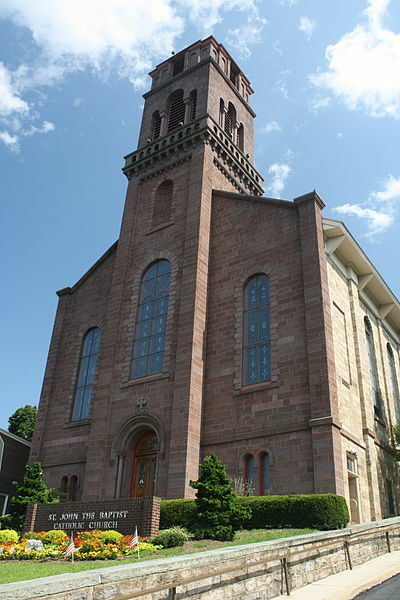 Located in the western region of the state, Grove City is sixty miles north of Pittsburgh. Grove City is characterized by its wide, flat expanses of grassland. The National Register of Historic Places recognizes The Wendall August Forge as a historical landmark. The downtown area also includes small businesses, banks, and speciality shops. Grove City Premium Outlets is considered one of the best shopping malls in the state. 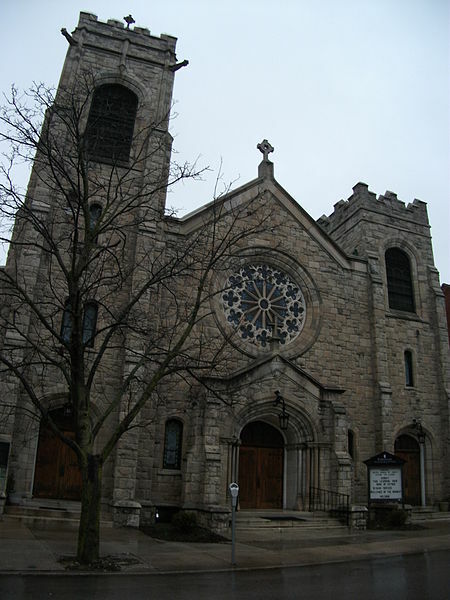 St. Marys, Pennsylvania is an interesting mix of religious ties and beer production. Straub Brewery (founded in 1831) is located in the town, as is the country’s first Benedictine convent. At the heart of elk country, St Marys is one of few regions in eastern United States where elk hunting is legal. 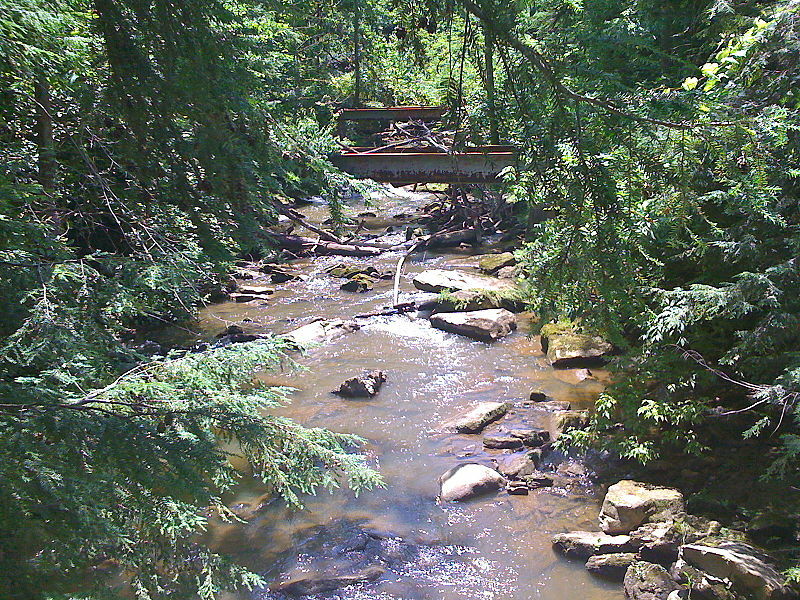 The city boasts several outdoor parks, including trout streams and hunting zones. 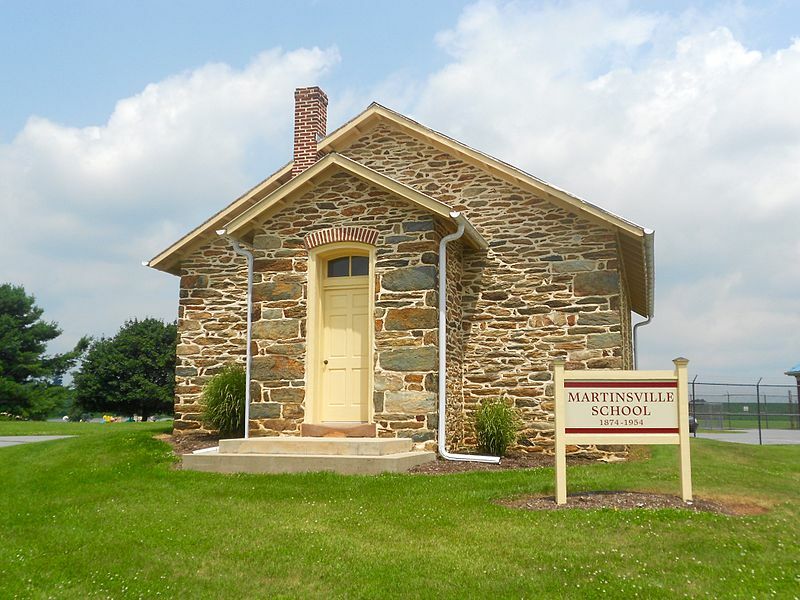 Situated just five miles north of the Mason-Dixon line, Hanover, Pennsylvania is an agricultural region with historical significance during the American Civil War and World War II. Historical landmarks include the George Nace House, the US Post-Office and the Eichelberger High School. Today, Hanover is a major shopping district, including a strip in the city’s downtown known as “The Golden Mile”. Lawrence Township, Clearfield County, Pennsylvania borders the town of Clearfield in addition to over half a dozen others, including Boggs, Goshen, Know, Pike, and Pine. Lawrence residents attend the Clearfield County School District. The city offers outdoor rentals at the local pavilion, and hosts public community events throughout the year. Bordered by Township Pennsylvania, Shamokin hangs on the edge of Anthracite Coal Region to the west. Two rivers flow through the region of less than a square mile. 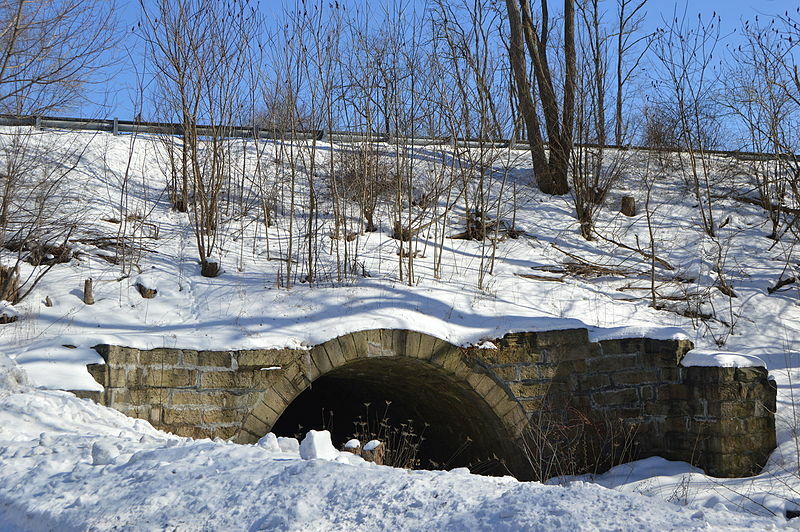 The city has recently approved plans for a creek channel preservation project, expansion of Claude Kehler Community Park, and restoration of “99 steps”, a city landmark. Located in east-central Pennsylvania, Berwick is often considered part of the Bloomsburg-Berwick metropolitan area, including Columbia and Montour counties. Berwick hosts the Columbia-Monotour Area Vocational-Technical School. Points of interest include the Seventh Day Adventist Church, May’s Drive In, and the Berwick YMCA. 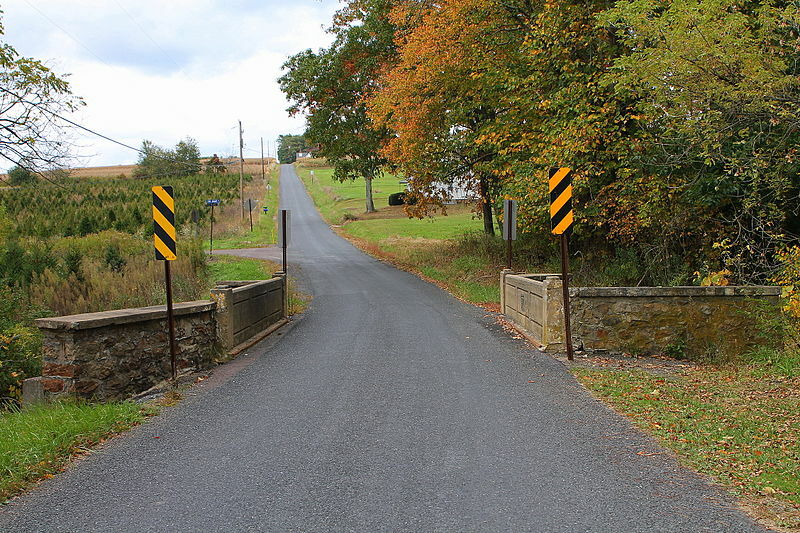 Lower Windsor Township is situated at Pennsylvania’s southern border. Winding through the eastern part of the state is the Susquehanna River. The Samuel S.Lewis State Park sits above the river and expansive grasslands. 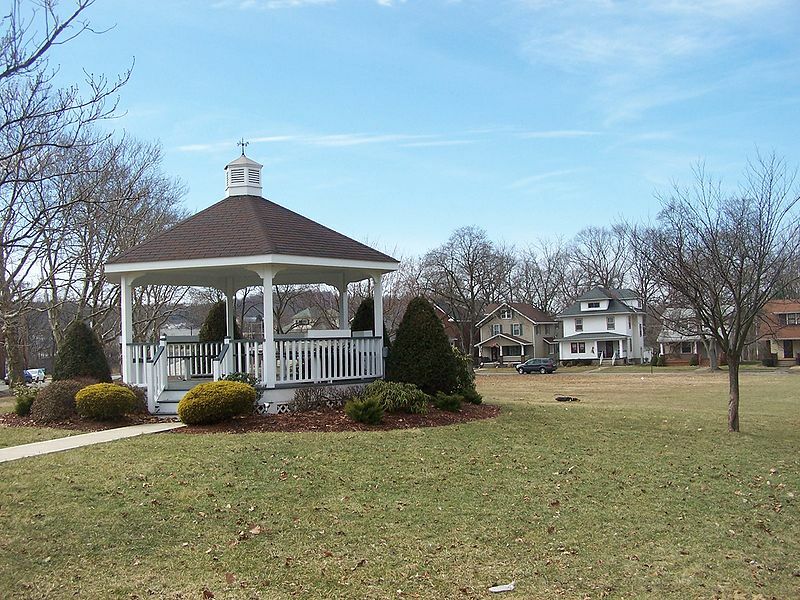 Lower Windsor’s public spaces also include Rexroth Park and picnic areas perfect for family and neighborhood gatherings. 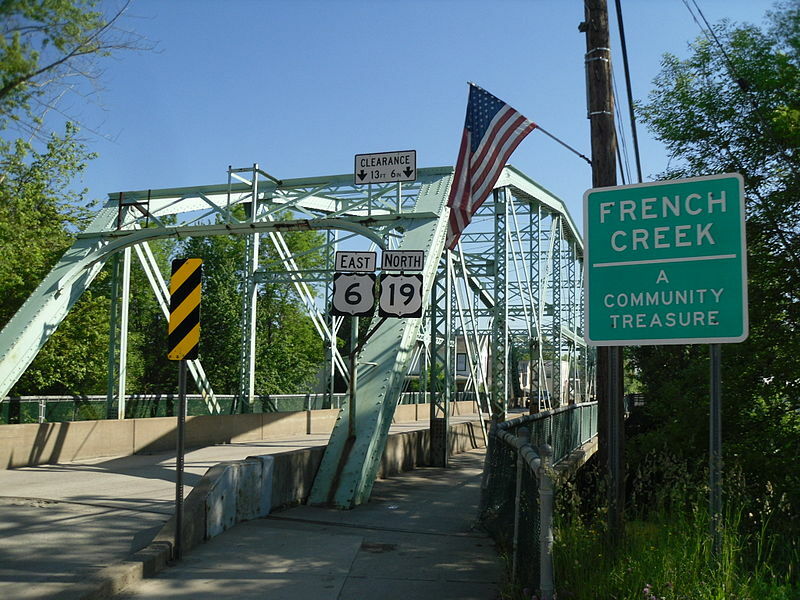 A quaint size of 6,545 (2010) residents, Franklin, Pennsylvania offers varied terrain, history, and community events. 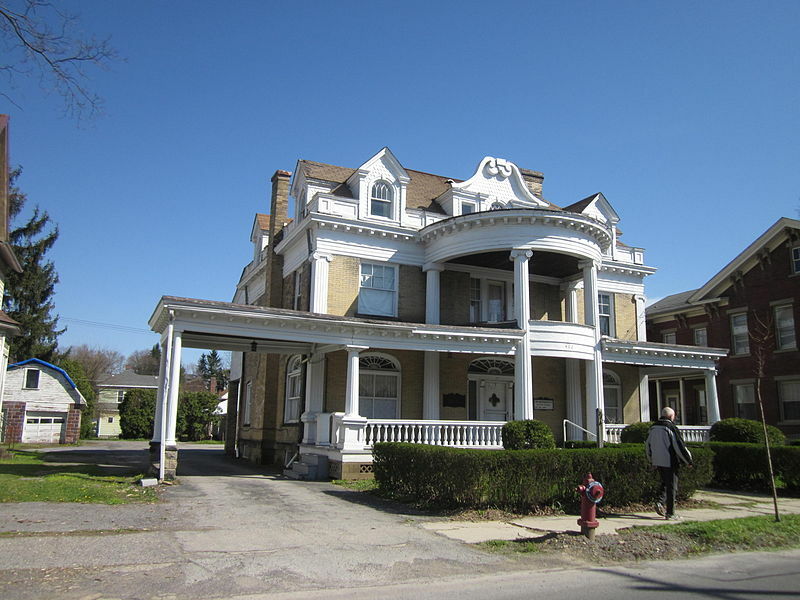 The National Register of Historic Places includes Samuel F. Dale House and the Franklin Historic District. Tourists flock to the city each year for the annual Applefest (the largest in the state). At the midway point of the Susquehana River, in the valley, lies Selinsgrove, Snyder County, Pennsylvania. The city of 5,383 (2010) is situated about 50 miles north of Harrisburg. Selinsgrove is also home to Susquehanna University. Major employers include manufacturing work, educational jobs, and medical services at area hospitals. 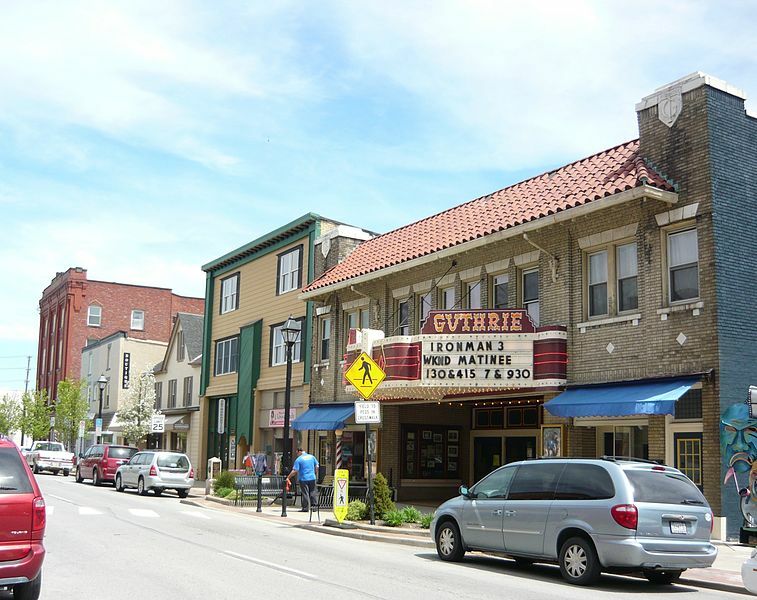 In addition to its downtown, Selinsgrove has several areas dedicated to nature preservation, such as The East Snyder Park and the Susquehanna Greenway. 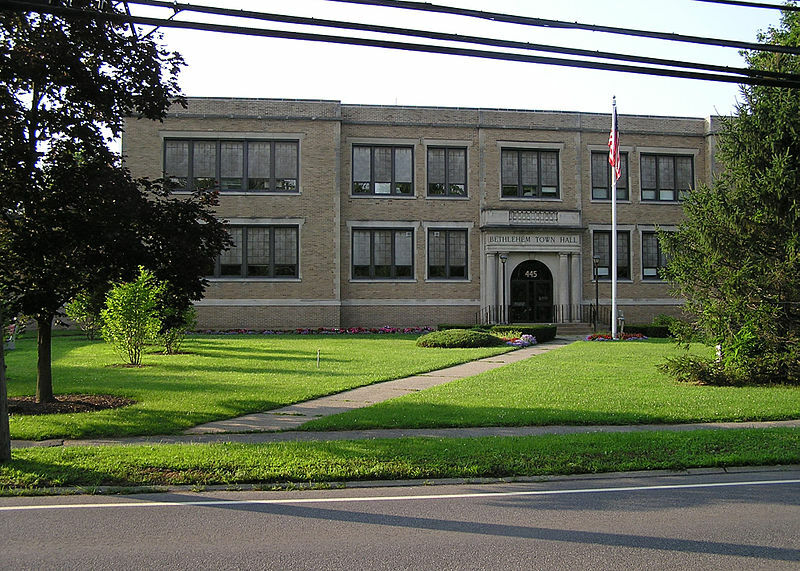 Encompassing the Northumberland County Career and Technology Center as well as the Shamokin Area School District is Coal Township of central Pennsylvania. The town of 10,628 (2000) has lead several initiatives geared towards engaging students and young people. Bloomsburg Univeristy of Pennsylvania is within close proximity. At the border with New York state, Bradford in McKean County stretches 3.5 square miles. The city is about 78 miles from Buffalo. Bradford is home to Brad Penn oil products and the American Refinery Group. University of Pittsburgh at Bradford is located within city limits. 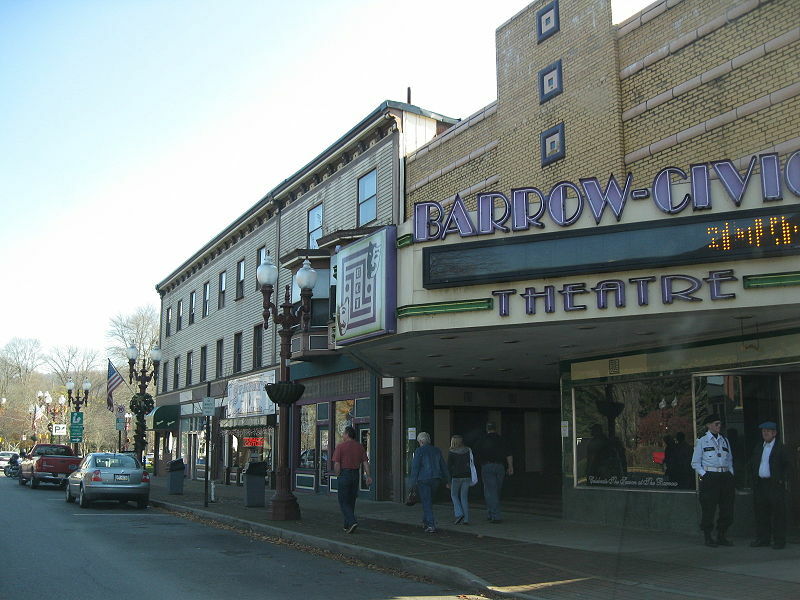 The town boasts a Bradford Creative and Performing Arts Center and spring and summer time special events. Fifty miles from Pittsburgh, New Castle nearly touches the Pennsylvania-Ohio border. The region is home to a plethora of fertile land, making it a center for agriculture. Downtown New Castle features the Pier I Complex Building, Zambelli Plaza, as well as a number of local businesses. The city is well-connected via major highways and and interstates. 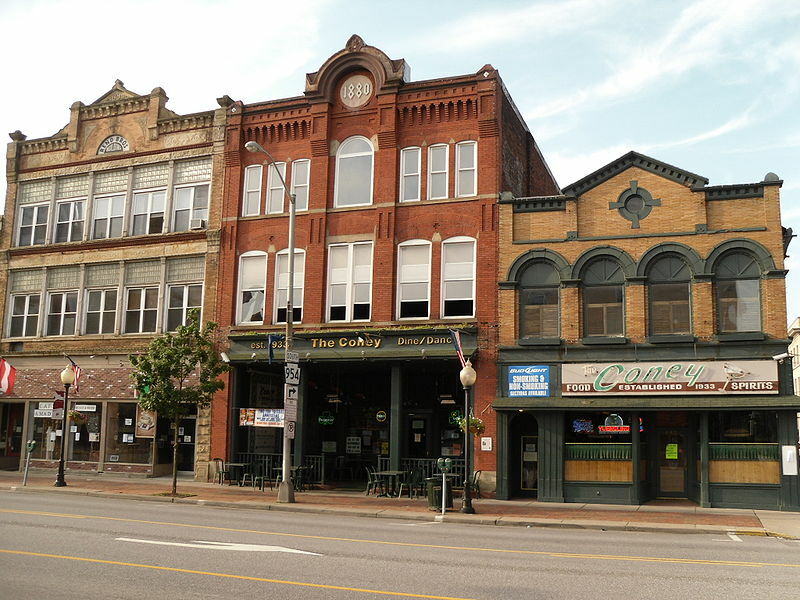 Situated 30 miles northwest of Pittsburgh is Ellwood City, with a population of 7,921. Major industries in the city’s past include the steel industry and coal mining. The border town is home to parks, swimming pools, and plazas. 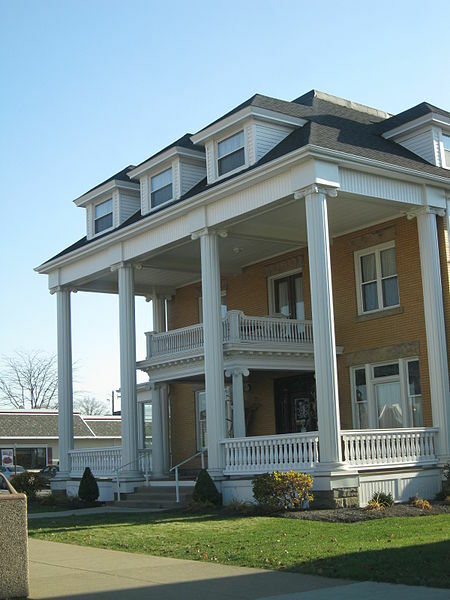 Ellwood is home to historically preserved buildings and treats its residents to several community events year round. Recognized for its role in the petroleum industry, today Oil City continues to capitalize in the industry; it’s currently the headquarters of Pennzoil, Quaker State, and Wolf’s Head motor oil companies. 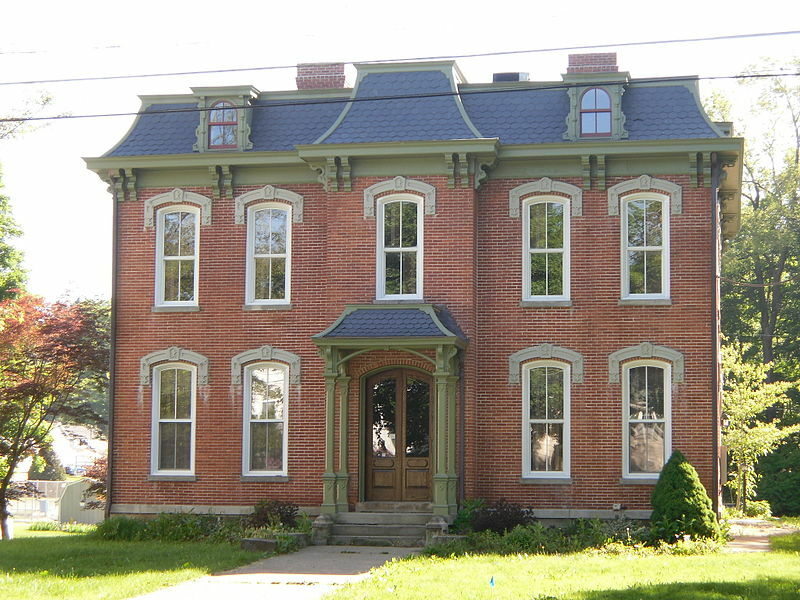 Historical landmarks in the area are distinct for their Victorian-style architecture. Sports in the city include the Oil City Oilers (baseball) and the McKeesport Little Braves (Pittsburgh Pirate affiliate). 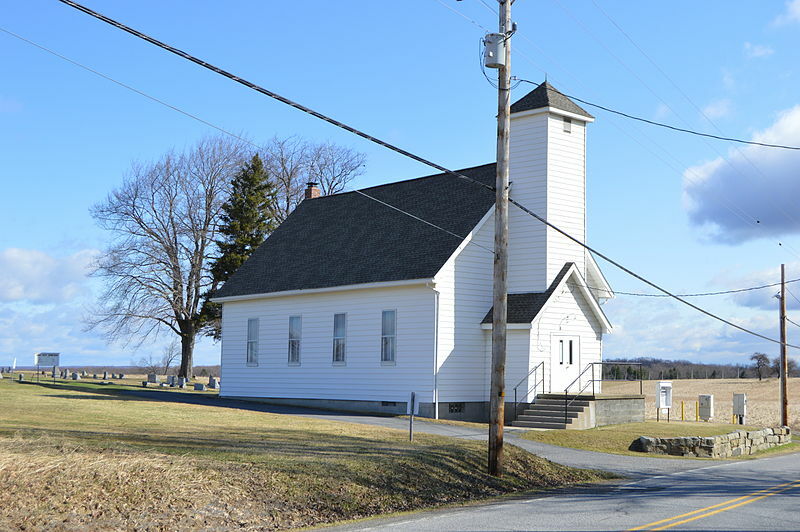 Cambria Township is located in central Pennsylvania and has a population of 6,099 (2010). The town surrounds the borough of Ebensburg. The city maintains several “CoGeneration Plants” with a goal of high environmental performance and low carbon emissions. Cambria is proud to offer recreational areas including six pavilions, one regulation-sized baseball fields, and two smaller ones in addition to other sports fields. 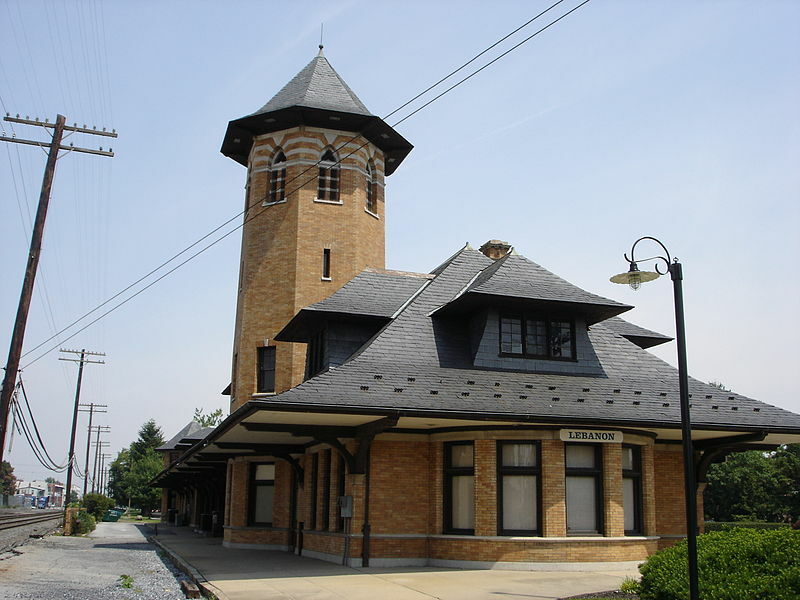 Formerly called Steitztown, Lebanon, Pennsylvania is situated 26 miles east of Harrisburg. The Quittapahilla Creek flows westwards into the Susquehanna River. Harrisburg Area Community College is located in this city of 25,477 (2010). Residents will appreciate the city’s Farmers’ Market and Elm Street’s Northside Neighborhood program–an initiative to engage community members in sustainable gardens and other environmentally conscious projects. The fifth largest in the state, Reading Pennsylvania is a city of universities and unique architecture. Reading lies in Berks County of eastern Pennsylvania, halfway between Philadelphia and Harrisburg. Today, the city consists of 87,812 (2013) residents. Albright College, Alvernia University, Pace Institute, and Reading Area Community College are located in the city. 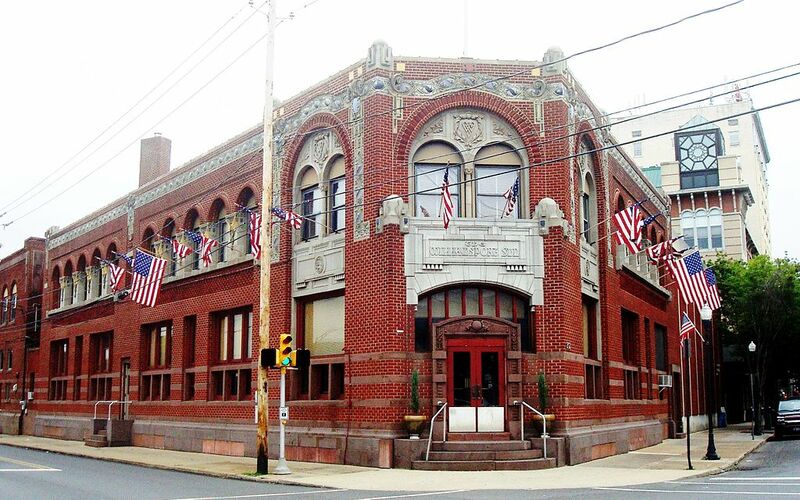 Reading is a leader in arts, culture, and historical preservation, including the Sovereign Performing Arts Center, the Preading Public Museum, and the GoggleWorks Art Gallery. Closest to the city of Pittsburgh, Punxsutawney is located in Jefferson County, Pennsylvania in the middle of the state. 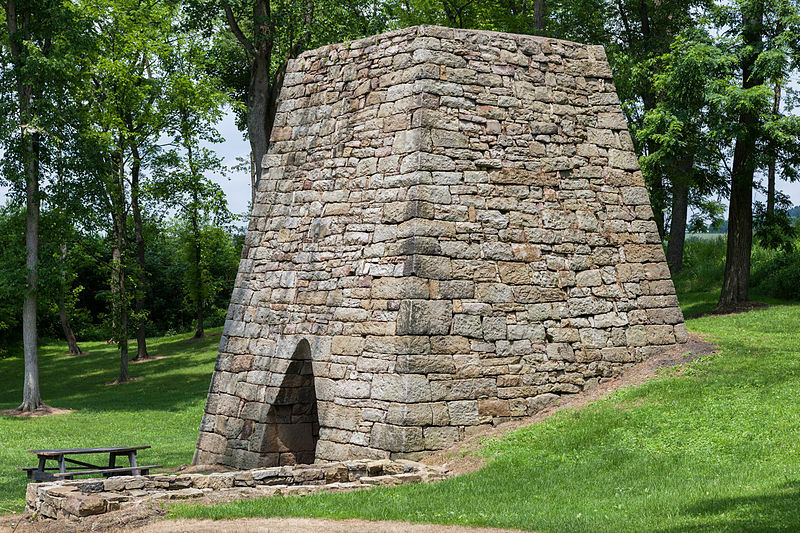 Along with the neighboring city of Claysville, Punxsutawney was initially established as a soft coal mining city. Manufacturing work included glasswork, ironwork, and flour and silk mills. Puxsutawney Phil is the city’s most valuable member and unofficial mascot, since this groundhog will famously predict the nation’s weather each spring on February 2, Groundhog’s Day. This small town celebrates the contributions and successes of local businesses. A borough of Blair County, Tyrone, Pennsylvania has a total population of 5,477 (2010). It rests beside the Little Juniata River. 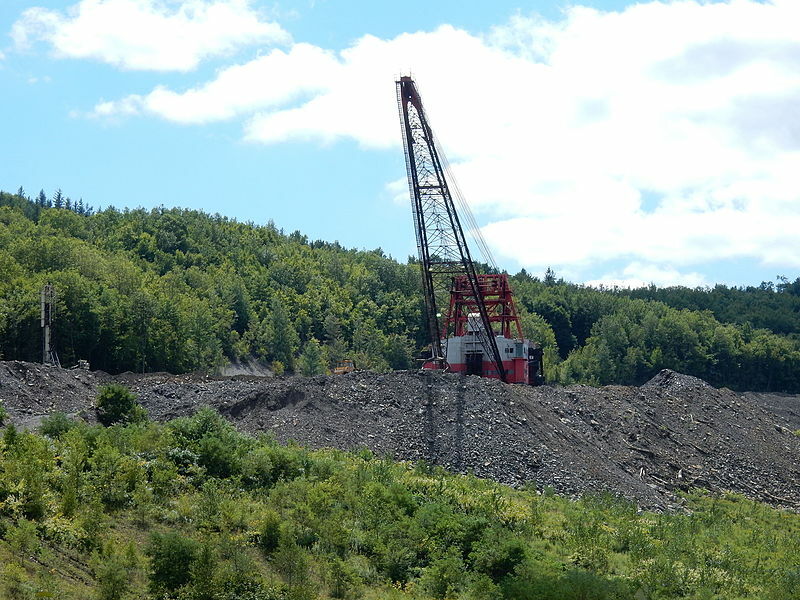 Historically, the city has played an integral role in Clearfield’s coal fields as well as the commercialization of paper products. 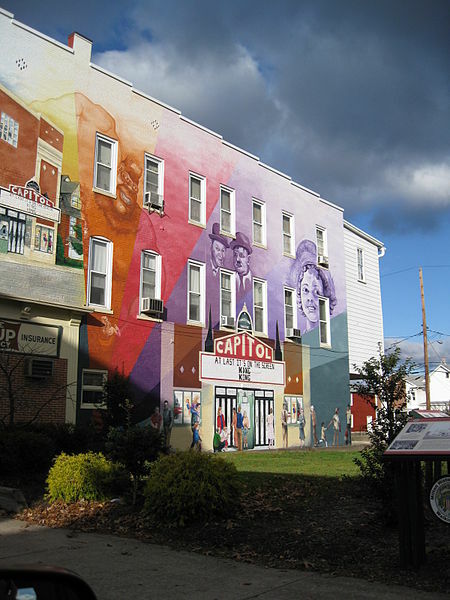 Tyrone has been nicknamed “The Hub of the Highways” due to its prime location near the Norfolk Southern and Nittany and Bald Eagle railroads in addition to the US-220, PA-453, and I-99 highways. Tyrone boasts a tranquil setting with a low cost of living. In the southwest corner of the state, rests Luzerne Township, separated by Washington County via the Monongahela River. The total area of Luzerne is 30.8 square miles, consisting of 5,965 (2010) residents. Citizens have access to the Fayette County Career and Technical Institute located in Uniontown. Parents have the option of sending their children to public school or one of the Commonwealth’s 13 public cyber charter schools, tuition-free. 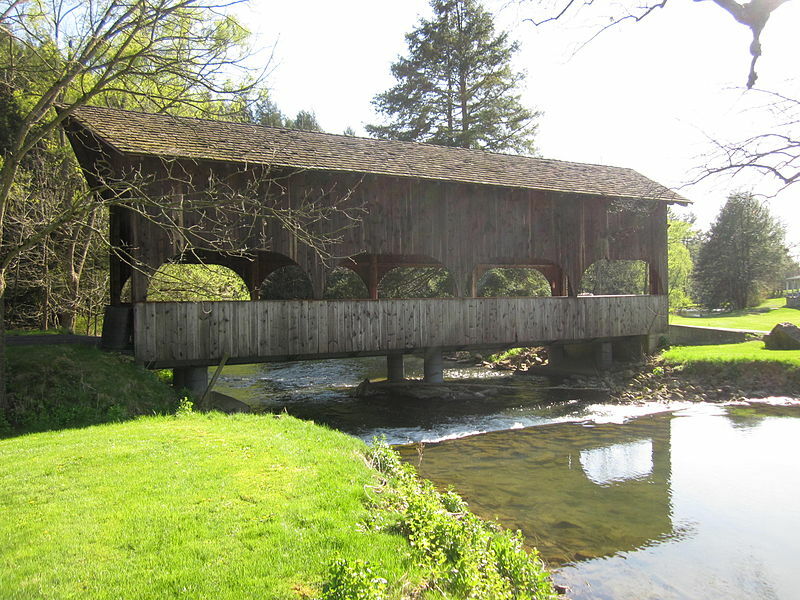 Luzerne is committed to rural and agricultural preservation. Skimming the West Branch Susquehanna River, rests the town of Milton, Pennsylvania. In the past, major economies have included car repair and woodworking industries. Simultaneously, small businesses have multiplied downtown. The city is characterized by mostly flat terrain.